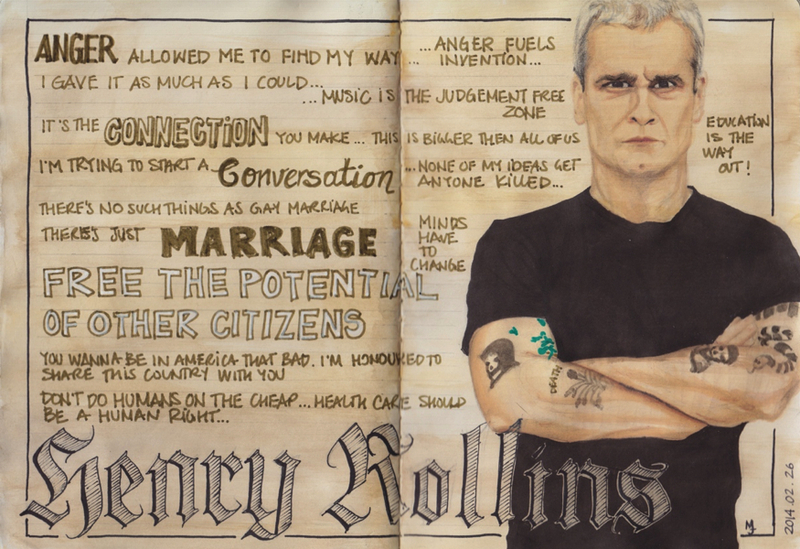 Henry Rollins is another Artst Tlk guest I had never heard of before watching his interview with Pharrell. He's a very interesting man. I think he's the perfect example of what happens when you just go for things that appeal to you and give it your all without giving too much thought about what could go wrong. As a results, he learned a lot from his experience and is can share them with others and making the America a better place, one conversation at a time. I really like his views on war, immigration, health care and the importance of education, they are very "Canadian".